I bought my Saturn L300 2004 in September of 2009 for $5000. It's a salvaged model, but you couldn't tell it from how the car looks and performs. It has a powerful V6 engine with all the get up and go that you need for the highway or quickly maneuvering to avoid a careless driver. The engine is most efficient at 65mph. Going at that speed, I have gone from Morgantown WV to Baltimore MD achieving 32mpg. Between highway and city driving, I usually average at 26mpg. Not bad for an 11 year old V6. It's also very quiet, which is a huge plus for me. What really puts this car head and shoulders above above my previous is the handling. I always feel like I'm in control of the vehicle, even in foul weather. I've been able to take this car into snow storms and pouring rain and still maintain control. While it does take more space to pull a U turn than I'd like, it hasn't been a problem in the field. The interior isn't too special. My car came with cloth seats, a power driver seat, CD player, cassette player, and the premium sound system. The seats are comfortable enough, although the rear seats feel better. The radio console with the CD and cassette player is basic for its day. There is no bluetooth, AUX in jack, or multi-CD functionality. I haven't had any issues with the electronics. My L300 is black with the premium aluminum rims. The look is more class than sport. Although I love the way it looks, the exterior holds my biggest gripe. Because most of the panels are made of plastic, this makes the vehicle aesthetically fragile. Plastic has more give than metal. So, when someone bumps into you, even if it's gentle, you get distortions in the paint from where the plastic flexes. At a distance, you might not notice, but they become obvious as you get closer. The Saturn L300 has been a great car for me. For the price I paid, the value has been amazing. 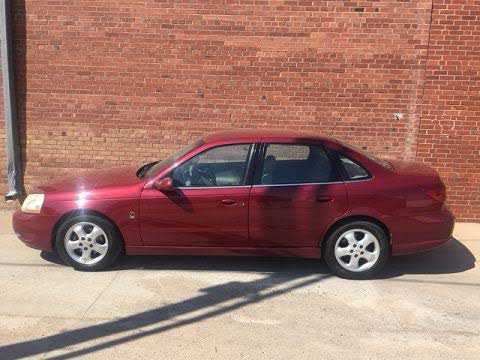 For those who might be on a budget and need a reliable car with great performance, the Saturn L300 is a good choice. I've been driving this car for 4 years, and I love it. It feels great on the road, and was very affordable. Even though I have the 4-cylinder baseline version, I've used this thing for hauling a good amount of stuff, including people that shouldn't have been riding in the back. I do have a few issues with the car, though. The interior materials are a bit cheap. As a result, the seats are a bit uncomfortable and it isn't all that durable. The second issue I have is a big one, writing this review in 2014: repairs are getting to be very expensive for this car. The L-series didn't exactly sell gangbusters, which means parts are getting increasingly hard to find. We bought this car at 100,000 miles for $3200. We've put 27k mi on since. We thought we got a great deal until it began to fall apart. We first replaced the tires, the keyless entry remote was broken, we had to replace the battery, and the cd player and radio buttons are broken. Then the car died coming off an exit bc the fuel pump went out and was $600 to replace. Next the A/C stopped working, then the rear brakes went out, then they went out again 4 months later because a caliper locked up. Just recently the dash and headlights started to flicker which we are told is the alternator. Then the engine light came on yesterday and the code said it's the O2 detector. What next? The L300 is a great car! We are now finding out that saturns were built how cars were supposed to be built. Rust proof and durable. I this this model is better than the Aura style. We need saturn Back. them Cheesy commercials were funny but didn't represent the quility of theses cars 20 years later we are finding out that they were better than the rest. I bought this car two years ago. Absolutely the best car I have owned. My wife drove it until about 6 months ago. We bought her a 2009 Saturn Vue. So I chose to keep this L300. Very fun to drive, lots of power and still 26 MPG average. I drive it every day and thoroughly enjoy it. Quick note: Going home one evening at around 60 MPH, a deer runs out and hits the side of my L300. I got stopped to see what the damage was, and there was none. One small scratch where the hoof hit. I had no idea this car had composite panels on the doors. Why don't all vehicles have this. Can't say enough good to describe this car. We purchased our Saturn August of 2003. I wanted the 4 cylinder to get the Drive chain. The drive belts break,deteriorate too often. I get 22 mpg city & 30 highway, using cruise control. We have 58000 miles on it now. it has had one brake job. Other than that no repairs. It is our second Saturn, the first was a 2000 SL2. We sold it ourselves in 2003 no problems with it either. First looker bought it. Well, I digress. We have been completely satisfied with this car. too bad they stopped building them. Incidentally my daughter-in-law had a 1999 Sl-1 one of the first she drove it for nine years and my son drove it to work for two. This car exemplifies why GM is dying. This is honestly the worst car I've owned since my 86 Chevy Celebrity. Every time I get into the, I'm in a foul mood because of the harsh ride, vague and indirect steering, poor seat support and comfort, high levels of wind and road noise etc etc etc. I have read other reviews on Edmunds of this car, and I'm shocked, and wonder if people are writing about the same car! It gets poor fuel economy, shifts abruptly, has poor suspension dampening, has an interior that looks like it was designed by Play Skool. Panels are broken and worn out, trim has rough, undesirable textures and the fabric is faded from black to grey. It comes down to the fact that this is the worst car I've ever owned. after only 43,000 miles the 2.2 4 cylinder engine has developed a major oil leak arounf the lower crankcase. I am very dissapointed in Saturn's reliability. I should entitle this review "Why Saturn Failed". 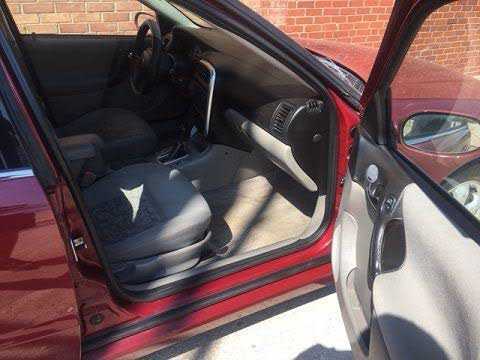 I owned several Saturns before this one and never had any problems, for some reason it had numerous problems and from what I understand there major defects and it wasn't just an isolated problem. The car after 4 years does look almost brand new when detailed and the leather and paint held up quite well over the years (no dents!) The numerous problems listed. 1. Serpentine belt twice, once at 40K and once at 50K? According to Saturn of Cerritos it was a defective belt? Sensor in the air pump lead to car going in and out of gears, first noticed this on the freeway, wasn't a good experience. Air conditioner failed at around 55K. We purchased two Saturn's at the same time. Ion 3 and L-300. No longer have the Ion, but have paid off L series and have decided to keep it. Car gives me just about every feature someone could desire. I feel it is one of the all time best values ever offered. The safety ratings are nothing to sneeze at either. Put a set of Voxx wheels and Michelin tires on and no one could believe what a true difference they made in overall appearance. Fuel economy at 24 mpg is totally in line. Have taken it from Fla. to NJ several times and comfort level was very sufficient. ( I am 215lbs. )Granted it isn't a Lexus or Caddy but, for what is is I feel there is no better out there.I will hold on to this car. I was first impressed with the pickup this car had. It will really run. 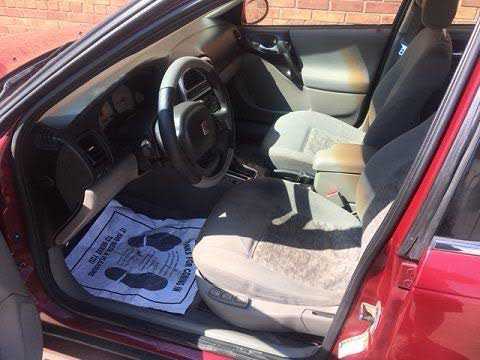 The next thing was all the luxury extras like heated, power leather seats, heated mirrows, 6 cd changer, chrome wheels, sunroof, leather steering wheel, traction control, fog lights, side airbags...this car had it all. It has been a surprise that the gas mileage is high 20's too. The drive is comfortable. The only negative I have found is I have to press harder on the brakes than I like. Researched and drove many luxury wagons and found this Saturn wagon. We drove and were sold for our family of four. It has plenty of power and butter-soft leather seats. Very comfortable inside with standard side curtain airbags, big cargo area, plenty of legroom for all, good mileage and 6-speaker crisp-thumping stereo. There's more road noise than in the BMW wagon, but you'll pay dearly for that quiet ride. According to Saturn rep, the L300's weren't marketed well and hence poor sales as a result. They were discontinued in 2005 to make way for better selling models. So far we are very happy with this vehicle. Great price, Luxury feel. Great car. Very pleased with my purchase. It has the feel of a higher priced luxury sedan. But with a sticker that's much easier to live with. Mine has the heated leather seats and six disc changer. I love the way the controls work. Not a paticularly fast car but its got it when you need to make moves on the road. The v6 could be better on the fuel economy. Great interior space. This Saturn L300 is great for the price. Yes yes some people cry about the interior cloth seats. To them I say, you get what you pay for. This is Saturn not a luxury vehicle company. Sure if one spills something on the seats its a little tough to get. Overall a good buy for the buck. My wife purchased this car after we had two unhappy experiences w/ VW. We have on small problem with the rear tailgate that was covered under warranty. No other problems in 55000 mi. Mileage on highway hovers around 30mpg. She purchased the vehicle due to over all value, high amount of features to price. 4cyl provides enough power for normal use. We don't pull trailers or race Corvettes with it. Overall, an excellent little wagon and an under appreciated car. My wife fell in love with this car when she first saw it. We have the L300 3 which is loaded to include heated leather seats. The speedometer is hard to read because for some reason they did not print the odd numbers such as 30, 50, 70 etc. The heated seats are great on a cold morning, but get too hot even on lowest setting. I have always bought GM and will do so as long as they employ family members. With the L Series, Saturn had a chance to compete with Honda and Toyota but failed like with most of their other products to put quality materials on the iside of the vehicle. The inteior looks good but feels cheap. Other than the cheap interior, I really like the car and I get lots of compliments on the looks. I have never had a any trouble with the car and it gets good fuel economy for a V6. Hope Saturn has better luck with the Aura. I have had my L300 for a little less then a year and had no problems until I had been in an accident. I then found how poorly the car is built. The infastructure is solid but the body is a cosmetic nightmare that is barley held together. I think I could do better with chewing gum and duct tape. I will never buy another. I also hate having poor fuel economy. I am also having problems with oil and coolent leaks. I have had a Saturn L for a couple of years. It has been a very reliable car. I have the 4-cylinder with manual transmission. It gets good gas milage and I have had no problems. I would have no problem with buying another. And, Saturn service has been quite good. Price value very good. Excellent acceleration. 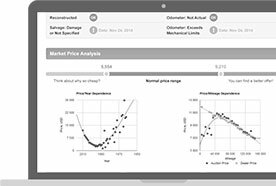 Good features for price. No price haggle at purchase. 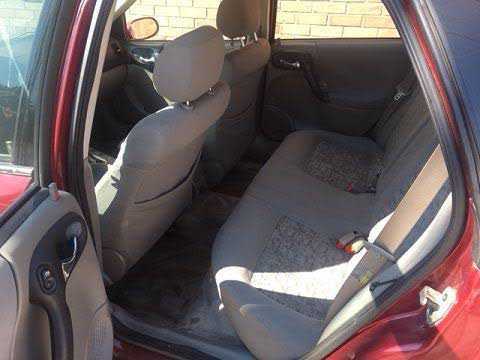 The car has everything else you could want for a comfortable vehicle, just needs a shower to make it as comfortable as being home. The vehicle draws attention as it looks great inside and out. German made engine with four cams has plety of pwoer and drives liek a german engineered vehicle. ( Was designed as Opel Vectre GM in Germany and made in USA. German quality abounds in this car. Engine is solid with variable intake manifold and really moves. Interior is very comfortabel and traded in my BMW 3 series for it as it si more comfortabel and gets consistantly 26 to 27 miles per gallon . Great on long trips is the leather and heated seats. the saturn could be more sound proof. and the fuel gage never shows full even if you know you have fulled it. On our first trip 1 month after buying the car we were rear ended at a stop light on the passenger side rear, to my surprise we sustained very little damage, just the bumper cover was in need to be replaced. The other vehicle (an older car) needed to have the hood, drivers side fender, door, grill, bumper, light assembly replaced. 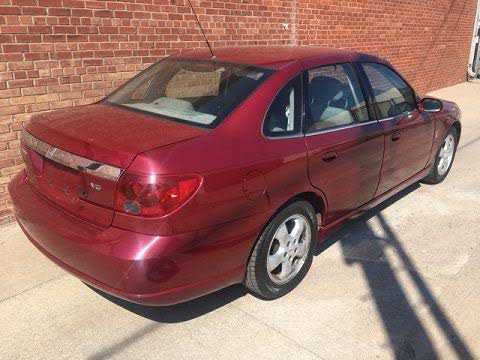 I was extremely pleased with the durability and reliability of the Saturn vehicle, I also own a 2001 same make/style which prompted me to buy the 2004 Saturn L300 after excellent service this vehicle has given us, both cars get about 32 - 34 MPG on the highway at 65 - 70 MPH. There a pleasure to own and drive. We just love our Saturns. The best thing about this car is its exterior design. Even after 1 1/2 years of ownership, I continue to get compliments from others. It really stands out from all the Camrys and Accords out there. Overall, the L300 has been very dependable with only minor problems that were repaired under warranty (audio system interference & a few rattles). With a V6, this car has strong acceleration... even with just 182 hp! Saturn's lightweight design gives this car faster 0-60 acceleration than a Toyota Camry V6. Leather interior makes the L300 is very comfortable on long trips. Black leather gives the car a luxiourious feel. Don't get the cloth seats. They are hard and uncomfortable. I am very impressed with this vehicle. There is plenty of power, comfortable seating, and it handles like a sports car with a comfortable ride. The standard equipment list includes everything needed. The fit, finish, and interior appointments are excellent. I purchased this car for my wife who loves it. My other car is a Cadillac Eldorado, and if Cadillac were to produce a midsize wagon, this could be it. I cant think of a better comparison. 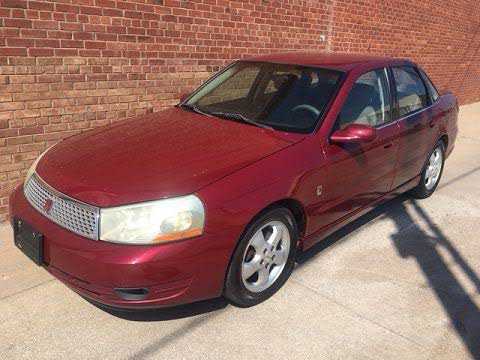 We have a Saturn L300.1 2004 wagon and a 2 year old Volvo V70. The cars are basically identical in size and function, but the Saturn cost about one half the Volvo!! The Saturn rides and handles better, has better exterior and dash styling, and gets better mileage. The Volvo is smoother and more refined, has a bit more power, better heater controls, came with better tires, and has better seats. The tires were an easy fix on the Saturn, and I really prefer driving it to the Volvo. For value there's just no comparison. 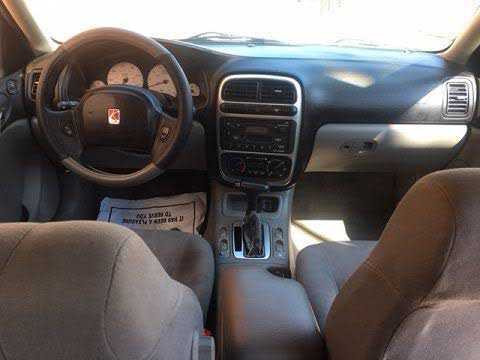 In my search for a slightly used car with low mileage (I didn't think I could afford a new mid-size car on a grad student's budget) I was thrilled to stumble upon the Saturn L200. I bought a demo car with only 9k miles. I got so much car for such a low price. I did have to get the horn repaired after a bad storm (at no cost to myself) and there was a recall on the ignition system. Other than those two incidences I have found my car to be very dependable. Even my discriminating boyfriend was impressed with all the L200's "smart" features and its low price. This our second saturn we could not have asked for a better car. My husband and I do alot of travel and he keeps trace of the milage and the gas. And believe me this car is excellant. I would highly recommend it to anyone who is looking for a car. And Saturn of Medford is an excellant dealer. I cannot say enough about the standard features on this car. It far surpasses the competitors in the same price bracket. Front and side airbags, auto headlamps... the list goes on. The drive is great for what I paid and the motor, although small, has a lot of brass with my aftermarket, high-flow air filter. 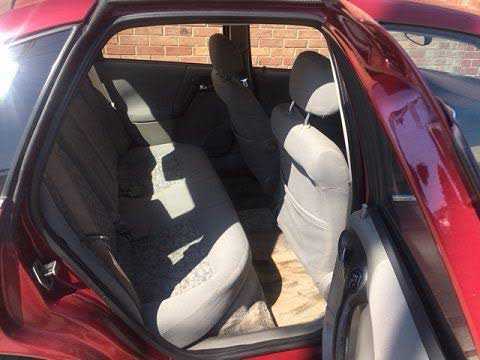 The interior, to say the least, is great for a product of GM's designers and at just under 50,000 miles, the car looks and runs great- mostly thanks to dent-resistant doors and front quarters. Sice I bought my vehicle in Oct 2003, it has been in the shop for repairs almost every month, sometimes multiple times in a month, since I got it. Saturn has been trying to fix it, but once they fix one thing, something else comes up wrong with it. I would not recommend this model vehicle from Saturn. this car is well made.it has many standard features that cost additional on other makes. the use of plastic side panel is aplus lessens dents and nicks in parking spaces.my 4 cyl. has more get up and go than any of the 4's i have had befor. I PURCHASED MY SATURN BRAND NEW AND I WAS ESCTASTIC. THE ONLY PROBLEMS I CAN LIST ARE: 1) THE STORAGE COMPARTMENT BUMPS INTO THE KNOB ON THE DRIVER'S SEAT WHEN YOU TRY TO OPEN IT. 2) YOU CAN FEEL MOST BUMPS WHEN YOU GO OVER ANY ROUGH STREETS 3) THE SPOILER ON THE BACK SHOULD BE LOWERED BECAUSE IT SOMEWHAT BLOCKS YOUR VIEW 4) AT NIGHT, WHEN YOU PUT ON BRAKES, THE RED BRAKE LIGHTS REFLECT ON THE BACK WINDOW, MY WINDOWS ARE TINTED AND YOU CANNOT SEE ANYTHING OUT OF THE BACK WINDOW. 5) NO CIGARETTE LIGHTER. WASN'T TOLD THERE WOULDN'T BE ONE. Overall a fun car to drive. This car has plenty of power and serious braking response with the traction control. We experienced an engine computer glitch, which the dealer promptly reprogrammed. Our average gas mileage was 15.2 mpg in the city, a bit less than the EPA estimate of 20 mpg. No more Saturns for us! I have owned a Saturn the last 6 years and find them some of the most dependable and fun cars to drive that are out there. They have a distinctness in design that no other car has as far as I am concerned. I rate the options in these vehicles very highly and would put them up against any car out there. This is my 2nd Saturn. My first has over 130,000 miles with no problems, I gave it to my daughter and bought a new 300. My SL2 is still running great and my new 300 is amazing. Luxury interior, solid feel, great to drive, and much less expensive than their competitors cars with the same options. I love the car, but if you are looking for a quiet ride you may want to pay more for the Accord. I had a 1998 Chevy Prism and upgraded to this, originally didn't even look at new cars thinking I couldn't afford one. I was shocked to see this car with all of these standard features for under $17k. I feel like I have more than what I had hoped for at an amazing price. Dealer was extremely helpful and went out of their way to assist us. I have always driven a Ford SUV and my friend has a '99 Saturn. My Explorer had 159,000 and I needed to trade it in on something more efficient due to the gas prices. 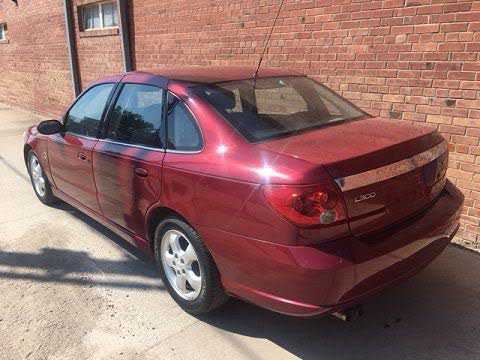 I drove a Saturn ION on a road trip and loved it!! I went to purchase the ION and discovered my L300 - more room and more standard features for less money. I'm still getting used to being closer to the ground because I drove an Explorer for 12 years. So far, I have no complaints on my L300 - I LOVE IT!! Thank You Saturn!! This is my second Saturn and I can honestly say this has been the best vehicle as far as quality, price and dependability. Thank you! This is my second Saturn and my next car will be a Saturn as well! Saturn gives me everything as those expensive cars, but without that awful sticker price! The comfort, the style, the gas mileage and the relibility are just a few of the things I love about Saturn. I also appreciate the service I get when I need the car serviced. Everyone has been extremely helpful and knowledgable. I've received MANY compliments on my Saturn! I would highly recommend a Saturn to anyone. They are GREAT cars! I love my Saturn! I wasn't considering an L300, but then I found out that Saturn has made it an unbelievable value. ALL of what I considered to be "must have" items are now STANDARD on the L300-1: Auto, AC, 6-speaker stereo with CD, front AND side airbags, ABS and traction control! All for $16,995! The L300-1 is only available with the 2.2L 4cyl Ecotec, which is very smooth. Every time I read a comparison review that slams the L300, I just scratch my head. Of COURSE it can't compete with a $24,000 Accord, but why would anyone expect it to? What they're not telling you is that you can get a LOADED midsize car for less money than any compact -- including Saturn's Ion! I work downtown in a major city....parking lot dings are commonplace and nothing made me more irate than seeing my $30k car with a huge dent left by a 80's Camaro car door...the dent resistent panels in addition to the luxury items make this car a great fit for me...I could have afforded a loaded Accord or Camry...but bought this one instead and am glad I did it! This is the first new car I have purchased in years. The L-300 is a nice car but not an exceptional car. Definately not in the same league as a Honda or Toyota. It certainly is good transportation but if you're looking for an American alternative to Japanese cars you won't find it here. Plus the gas mileage is terrible. I've had my car for about 9 months and I guess the best test for customer satisfaction is that I already am looking at new cars. I love the design of the Saturn; it's classy; but I drive all the time and I find that it's not "fun" and can be downright uncomfortable as there is limited seat movement for the driver. Although the dealership was great, there were many, MANY errors and redos on the deal, making me very nervous and took over 4 months to finalize. wipers slow when on high, dark blue with pin strip and chrome wheel trim, makes it look great, good deal & no hassels. our wagon is loaded with every option there was. beautiful interior. lots of compliments about the wheels and finish of vehicle. strong motor (v6) only thing needed is rear door glass and rear wagon glass to be darker (blacked out) very pleased so far.. This is a nice saturn, it rides alot smoother than my smaller saturn and is a very nice looking car. i compare it with any other top of the line. 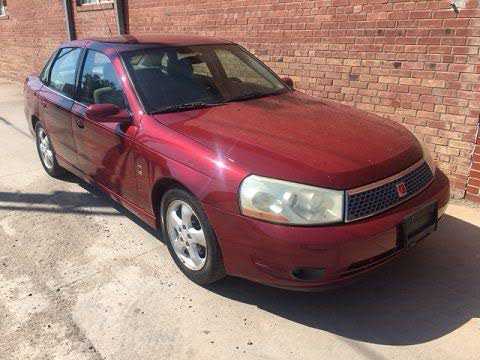 I purchased the L series Saturn , because I wanted a car that got good mileage,and was fun to drive.As of this month I have turned over just 6000. miles and have had no problems at all.It is a four cly. car but it will cruise with the big boys. I get 20 or better in town, and 25 or better on the road. I have owned Chevy,dodge and pontiacs before and this car is just as good as any of them. My L200 is by far the best car I've ever owned. It's comfortable and dependable. The buying experience was great. "No hassle, no haggle" was a joy for me, a single mom. The service on the car is even better than the buying experience. Every single woman should look at Saturns first, even if you're not interested in one. At least you'd know how you should be treated. comuted 86000 miles with the first and had little maint problems. Saturn replaced tires and adjusted chamber. fun to drive with adequate performance in the northern VA area. Now on my second with all bells and whistles. This was our first saturn, and will be our last! Nothing but problems with the car, the dealership, and the corporation, starting the first week we had it. Empty and broken promises from the dealership. 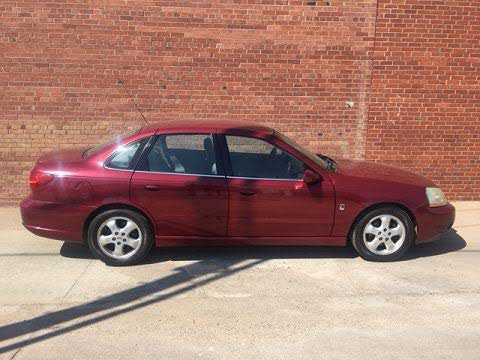 Within six months the car had a major coolant leak and oil leak. When contacting saturns corporate offices. They said the best thing they could do for us was offer us 4 free oil changes. Wow! They really dug deep there. An easy fix for them, while I have to worry about whats going to happen next, and how much it's going to cost. Very comfortable car, I sometime have to drive for 7-8 hours at a time. The L200 still gives good milage, (in the low to mid 30s) on the highway. I purchased a 2002 Saturn wagon in Dec 03. I also had bought one in 93. I loved the one I had 10 years ago, but this new one just doesn't work for me now. My kids are bigger, and I just downsided from a Chevy Astro van, I went from a seating capacity of 8, to 5, lost a lot in cargo space & leg space, plus I can no longer see over/around cars in front of me. On the mechanical side, I had to replace the water pump after only owning it for 5 weeks, I checked the service report and it's 2 pages long! EEK! This is my second Saturn L-Series and our 7th Saturn in our family. Saturn sales and service is A+. Their cars are very good value, reliable and fun to drive. In summary, I love my Saturn L and ions. I purchased this car understanding that I wouldn't expect to have a car that drives like a Lincoln but I was pleasantly surprised. No fancy amenities but everything I need is there. When you need power it responds and the ride is as good as any other comparable vehicle. I am a tall person and the power seats adjust so that even I am comfortable driving. For the money this car was a good buy and the dealership is very customer concious. My Saturn dealership treats me like a queen, they check my car over throughly before each trip I make, sometimes finding problems and repairing them when I didn't even realize they exsisted. I would buy another Saturn over and over again, Thank you Saturn for making an affordable, reliable, fun to drive car.. I have been very pleased with my Saturn L300 so far. I have not taken it to the dealer to for any problems except for the conole rubbing the lumbar adjusting knob. It handes well and runs well and has adequate power. The traction control and ABS have served well so far. My biggest gripe is the large amount of brake dust accomulating on the front wheels. Doing business in the Saturn manner has been most delightful and will keep me from visiting our traditional auto- dealers. The problem with most reviews of the Saturn L300 is the constant comparisons japanese midsizes. Having purchased a baseline 4 cylinder model, I've found this car an extremely good buy for the money. At less than $17k well equipped, the L300-1 is both in price and in quality between the Civic and the Accord. Wanting more than a Civic and less than a well-equipped Accord, I find the L300 a very compeditive offer. It's no Camry, but it's not priced like one either. This is my second Saturn. I love the car. Very solid - luxurious - and safe. Buy this car. Beautiful on the outside. Inside car has cheep material for seats and uncomfortable, but everything else is fine. Rides a little noisy and you can really feel the gears shift. Glove compartment small, trunk is nice. Chrome wheels and pin strip really makes it georgous. Good experience at dealership and with service. I do recommend vehical very reliable, this is my forth. Good honest company to do business with. They stand behind their product. Bright dashboard colors take a little getting used to. For the money, awesome car, high safety ratings. The automatic heating system in this car is terrible. In order to keep the interior warm in the winter, the temperature gage has to be dialed up a couple of degrees about every 20-30 minutes otherwise the air coming out of the vent is too cold. It just can't maintain an equal warmth and a constant temperature in the car. I have owned four saturns and have been happy with all of them they are not fancy but have always provided good reliable transportation.I feel automotive evaluators are biased in favor of foreign vehicles. I disagree with the Edmunds.com review of the Saturn L300 sedan. It's a quality car with sound, excellent build. The materials and features are top rate. The leather seats are plush and comfy. The 3.0L engine is powerful and responsive. Handling is as good as any car i've ever driven. 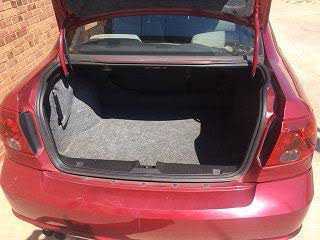 The car has plenty of interior room, with an adequate trunk, but retains a small car feel, which is good in my opinion, making it easier to park.